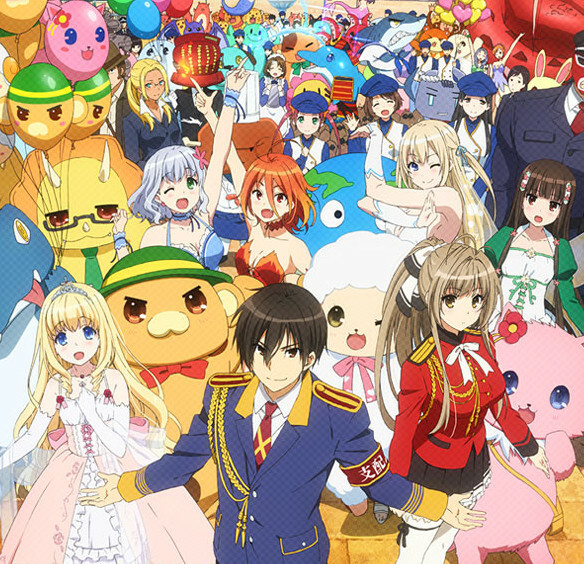 Amagi Brilliant park, an amusement park appears to be in a very bad shape with no maintenance and low on visitors. The park needs to attract 500000 visitors by the next three months otherwise, it will be shutted down by the authorities. Seiya is forced to save the amusement park by a beautiful girl Isuzu. Accepting the challenging job, Seiya soon knows that it is no ordinary park. 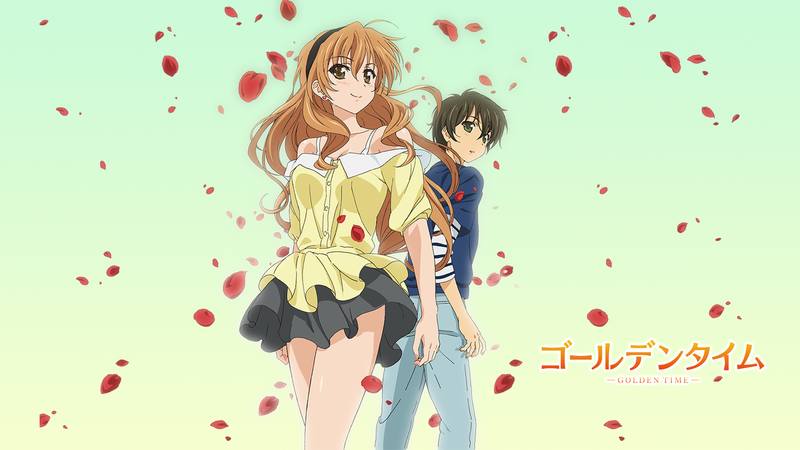 A highschool student named Tada Banri suffers amnesia due to an accident that happens the day he graduates highschool. His memory doesn’t retrieve even one year after. He enters college after hospitalized and got interested in a girl named Kaga Koko. Without any knowledge that he has a pass relationship with his former crush Linda, he tries to pursue Koko. So, FabledHunter Tagged me to answer several questions about anime. I was stunned to know that I was tagged and of course, I felt very happy. I mean, at least someone acknowledges my existence. You can find his answer here. So, without wasting any time, let’s answer the questions. In a near future, humans are threatened by parasites known as Gastrea and are forced to live in terror and despair with the Gastrea. 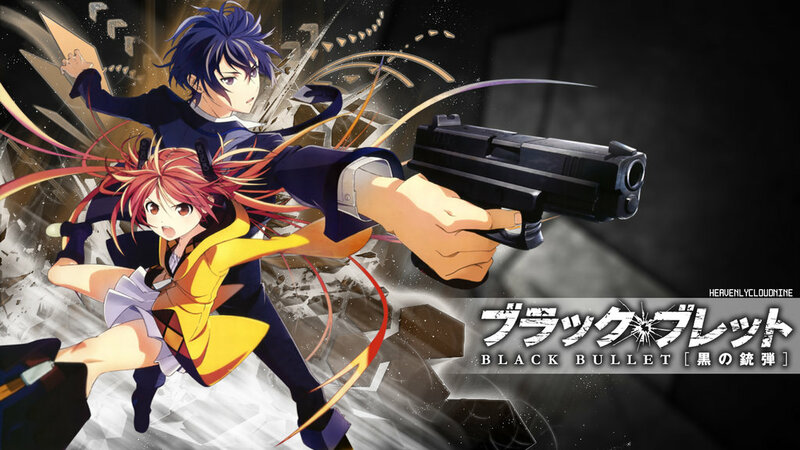 Satomi Rentaro, a ‘Civil Security’ with his ‘initiator’ Enju is on a secret mission to save Tokyo from the Gastrea attack. 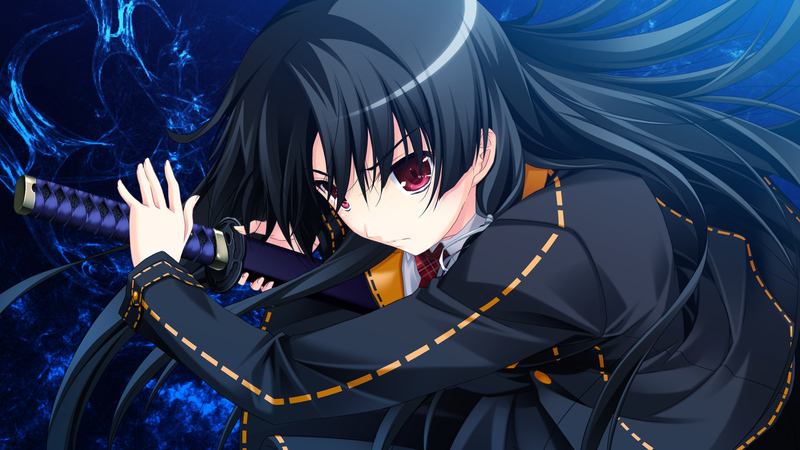 There lives a girl named Tsukishima Shizuku who loves to read and sometimes tries to write. 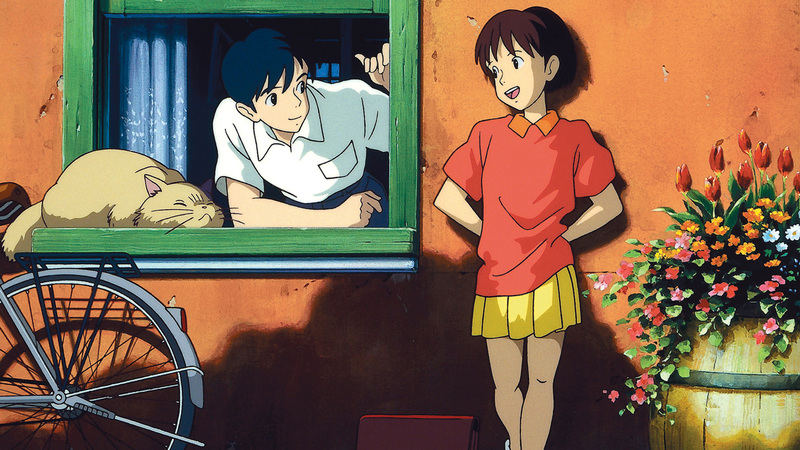 She met a boy named Amasawa Seiji and later finds out that Seiji wants to be a professional violin maker. Knowing that, she doubts her own future. She doesn’t know what to do in her future life. She likes writing but does she really have the talent? 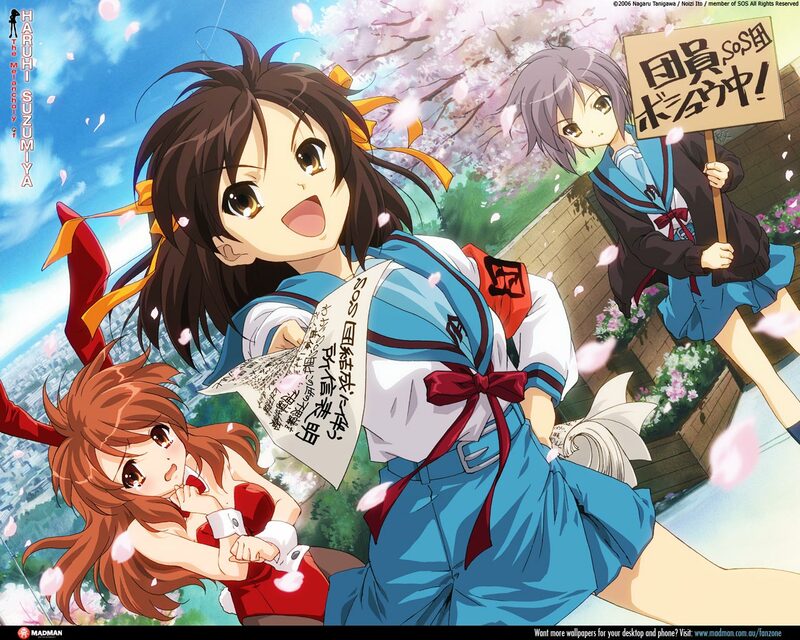 It’s a story about a girl named Haruhi Suzumiya trying to overcome her boredom by finding abnormal things in this world. Therefore, she forms a club with the objective to find the abnormality of this world. Kyon, an ordinary high school student is involved with Haruhi’s crazy activities by some (inevitable) occasions. He later finds out that the other three members of the newborn club is an alien, a time traveler and an esper. He has to make Haruhi happy by accompanying her doing insane activities while at the same time covering the fact and secret of the abnormality around her because if she finds out, IT WILL BE THE END OF THE WORLD!! There are two ways to watch this series. The first one is in chronological order and the other one is in the original release order. I, of course watched it in chronological order. I don’t see why people should watch the broadcast order because the episodes are scattered. Think of it this way, you have a perfect chronologically arranged series. Then you shuffle the episodes randomly and lastly broadcast it. Isn’t it a foolish thing to do? But I don’t know, maybe there is something to it that I couldn’t see. Besides, I watched this chronologically so I can’t actually say anything. Hirasawa Yui, a clumsy airheaded girl enters high school and decides to enter a club since she never join one. The Light Music Club catches her interest as she thinks she can become a member of the club just by knowing how to play castanet. Soon, she realizes that it is a lot harder than that. 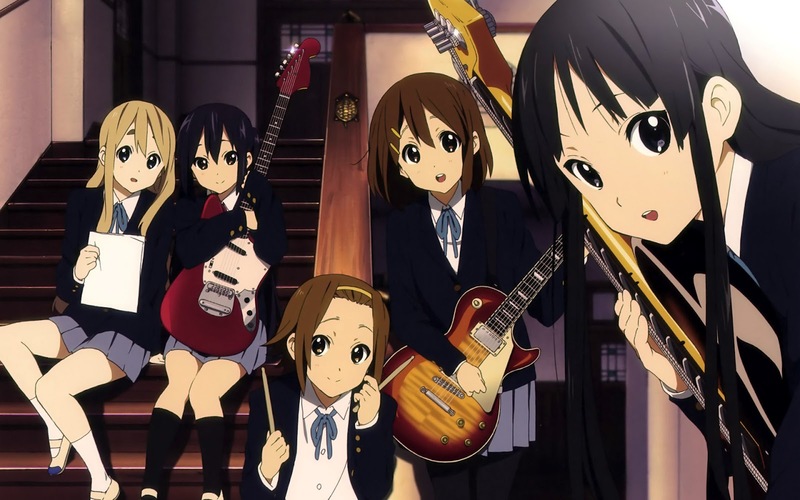 She enters it anyway and decides to learn to play guitar for the sake of her new join club. She enjoys sharing pleasant memories together with the members of the club.